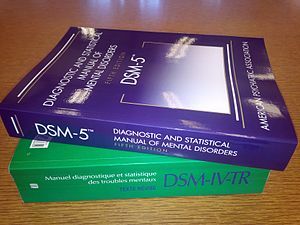 The new ‘psychiatry bible’ DSM-5 has come under a lot of fire since it’s recent launch. One vociferous critic is Duke University’s Professor Allen Frances, himself a renowned psychiatrist who helped shape the (some say more valid) previous versions DSM-IV and DSM-IV-TR. Mental Health is a broad church and psychiatry only one faction within it, but it cannot be denied it is a major faction, with a very strong voice, perhaps the strongest to date. 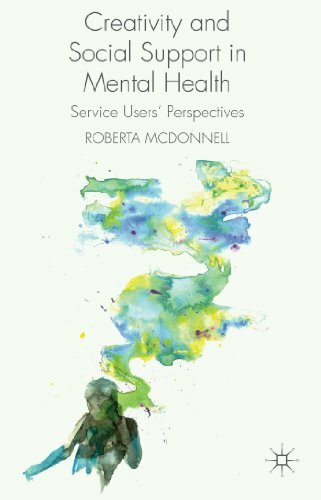 There are, nevertheless, many other voices – psychology, nursing, social work, therapists of various persuasions, neuroscientists, social scientists and most importantly, service users. There have, undoubtedly, been major advances in the understanding of mental suffering, mental health and well-being emerging from all of these camps, including psychiatry. The perhaps unexpected flak that has recently been directed at psychiatry as a body of knowledge has been generated by concern over what has been termed ‘hyper-inflated diagnosis’ and the seemingly relentless drive to medicalise every aspect of human life, including ‘normal’ sadness and grief (Frances 2013). Diagnosis is at the centre of the debate. There is no doubt that people suffer. There is also no doubt that patterns can be identified in the forms that suffering may take. Furthermore, people often need a name for suffering, as a way of finding some understanding and therefore possible solutions. So diagnosis may well have a positive role to play in the future of mental health care and promotion, provided there are adequate and effective responses available. But does diagnosis really call forth effective treatments? Some would argue that the answer is No, not at all. The question “What does help?” will underpin my contributions here to the Mental Health Chat blog. Suggestions, points for discussion and leads to relevant studies will also be most welcome in the comments section. For now, here’s a link to the recent Maudsley debate [click on “48th Maudsley Debate: Diagnosis: Enabling or Labelling?”] on the issue of diagnosis. Those in favour [Prof Norman Sartorius and Prof Anthony David] talk about diagnoses as heuristic tools to guide research and practice, while those against [Dr Felicity Callard and Dr Pat Bracken] argue that diagnosis is a sticky label with little to offer therapeutically and too many social sequelae to be considered useful. What do you think? What is your personal or professional experience? What are the alternatives? is an online open access community with a weekly mental health twitter chat every Wednesday at 8:00 PM GMT / 3:00 PM ET / 12:00 PT. The hashtag for the twitter chat @MHchat is #MHchat Mental Health Chat is dedicated to promoting and advancing the interdisciplinary understanding of mental health and mental illness. Previous Buried by the Shadow: Lessons from Baudelaire Next Archetypes and Elixirs: A Jungian Perspective on Life as We Know It. Great post. I’ll contribute some of my thoughts on the topic. I have mixed feelings on diagnoses. I recall taking an undergraduate abnormal psychology course and learning about trichatillomania (compulsive hair pulling) for the first time. It is something that I had struggled with since I was about 14. It was unwanted, and I recognized that it was self-distructive in a way, but it persisted. Learning that there was a name, and that there were other people who similarly struggled was a relief to me. It meant that I no longer had to think that I was the only one. It normalized it a little. And, as counter-intuitive as it may seem, having a diagnosis made me feel less “messed up”. I felt that I could stop blaming and shaming myself and start blaming the illness. However, I find that it was important that I saw the diagnosis for what it was: a cluster of symptoms given a name. If it were to become part of my identity, I think that it would have been harmful to self-esteem and to my confidence in treatment. So, in my experience, diagnoses can be both good and bad. And professionally I know that both the good and bad manifest in many ways. Its definitely a conversation worth having. Thanks for addressing it. DSM diagnoses should not be understood as discrete diseases. They are descriptions of the type of problem- and they help us doctors cross reference our skills from one patient to another. If the clinical presentation is similar then there is a good chance that approaches that have worked for similar patients. They are better understood as spectrums than distinct entities. I do see people who take negative interpretations and meanings from their “labels”- and as practitioners we have to be mindful of this. However- I knew all my life that I had problems that other people did not have. Despite an excellent academic performance at school and a good one at Uni, I was often disorganised, ill focussed, impulsively irritable, struggling to get to sleep, to stay asleep, to wake up and to stay awake. I lost many friends through the effects of this “unseen enemy”. Everything was harder for me than it seemed for other people. For most of my life I was mislabelled “Bipolar”. I was diagnosed with ADHD at age 46. I am also a medical practitioner. 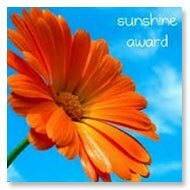 The ADHD “diagnosis” has been immensely beneficial- as it has directed my attention to working with interventions that improve my self regulation of attention, emotion and alertness. Stimulant medication has been of great benefit- but nowadays we understand about the reality of neuroplastic change in the brain induced by appropriate mindfulness practice. In fact, meditation (both sitting, walking and movement based- QiGong), thorough training in relaxation strategies and persistently working with mindfulness with a view to remaining relaxed and alert and being aware of it have been transformative. I’m by no means perfect with my attention, and still use occasional doses of medication. However I make the following points. The label ADHD accurately described my problem and gave me the information I needed to direct my efforts appropriately. Understanding that there was a real neurologically based attention problem allowed me to step away from the negative labels I was giving myself (lazy, uncaring, just a bad attitude, or stupid). The medication helped me focus well enough to actually learn to meditate in the first place. The effect of the medication is often (but not always) to allow me to enter a very clear and calm state- and now I know what it feels like when my attention is good. That, in turn, helps me to know whether a particular mindfulness practice is helpful or not. In short- correct description leads to useful therapies and my life is improving from some pretty low points. Honestly – given the research that was available by 20002 (International Consensus statement on ADHD) the existence of ADHD in adults was well accepted science. Quite frankly I believe that the doctors who misdiagnosed me and did not keep up with the science were in formal terms medically negligent.